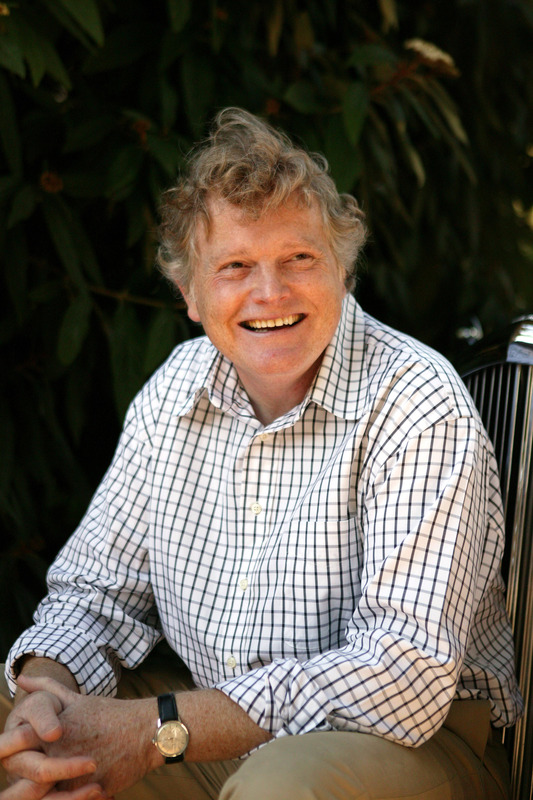 Website of Michael Dobbs – Author and British politician. 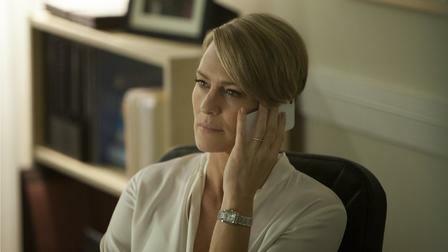 'HOUSE OF CARDS' WINNER OF 22 INTERNATIONAL AWARDS. 6TH AND FINAL SEASON AVAILABLE NOW ON NETFLIX. 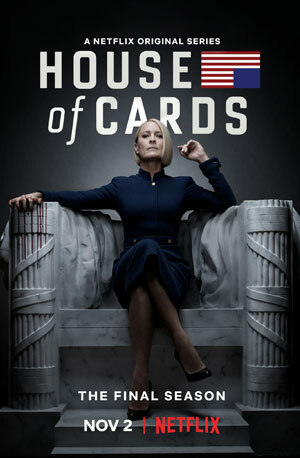 'HOUSE OF CARDS' WINNER OF 22 INTERNATIONAL AWARDS. 6TH AND FINAL SEASON AVAILABLE NOW ON NETFLIX. 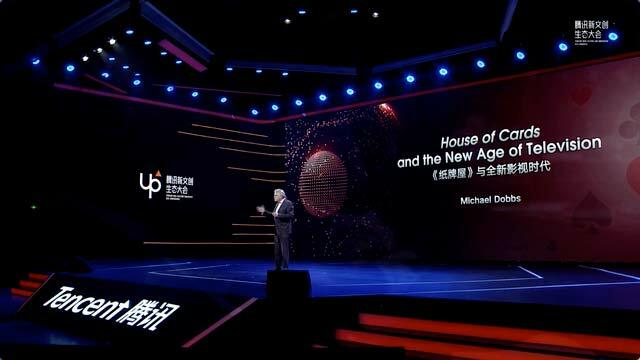 Michael regularly gives talks around the world, entertaining and informing audiences. Click below to watch him in action. House of Cards has transformed my life. Throughout all the creative and political excitement that has filled my life over the past decades (and if you’re in a hurry you can watch ‘Dobbs in a Nutshell’ by clicking here my most loyal companion has been FU – you’ll know him as Francis Urquhart or Frank Underwood, depending on your accent. He’s recognised throughout the world. 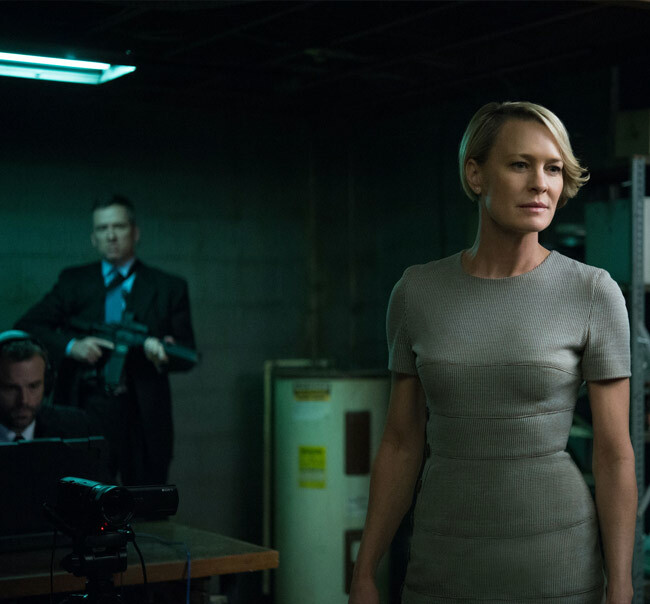 We’re bringing House of Cards to an end after six glorious seasons, with the wonderful Robin Wright providing the very final twist as President Claire Underwood. FU2, as I have been known to call her character. 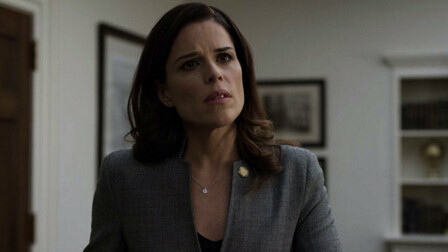 And if you look closely at Episode 5, you might even find someone who looks a lot like me playing a cameo. As a conspirator. How appropriate. I’m told that the novels aren’t bad, either, they’re published worldwide in 30 different languages. Some believe my Harry Jones novels are even better. A guy called Boris Johnson seems to like them, as you can see by clicking here. And I’m told he has a reputation for understanding political skullduggery. I’ve never had a proper job. But I’ve had good fortune and a lot of fun. I was with Margaret Thatcher when she took her first steps into Downing Street, and there again with John Major when he was kicked out. And somehow I’ve ended up in the House of Lords. I’ve also got five Emmy nominations and a host of awards for my novels – well, I’ve written 20 of them. But perhaps the most fun I’ve had in recent months was when I went back to my old US grad school, the Fletcher School of Law & Diplomacy, as a visiting teacher. Professor Dobbs. Going back to where I started. I loved that. He’s spent too much of his life hanging around all the wrong places at interesting times. 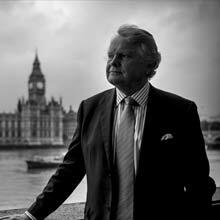 He was with Margaret Thatcher when she took her first steps into Downing Street as Prime Minister, and he was there again with John Major when he was kicked out. In between he got bombed in Brighton and banished from Chequers (after a row with Maggie), and helped win a few elections. 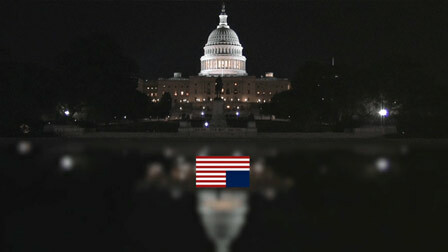 In the quieter moments wrote a book called House of Cards. As former Prime Minister John Major once said, it had done for his job “what Dracula has done for baby sitting”. 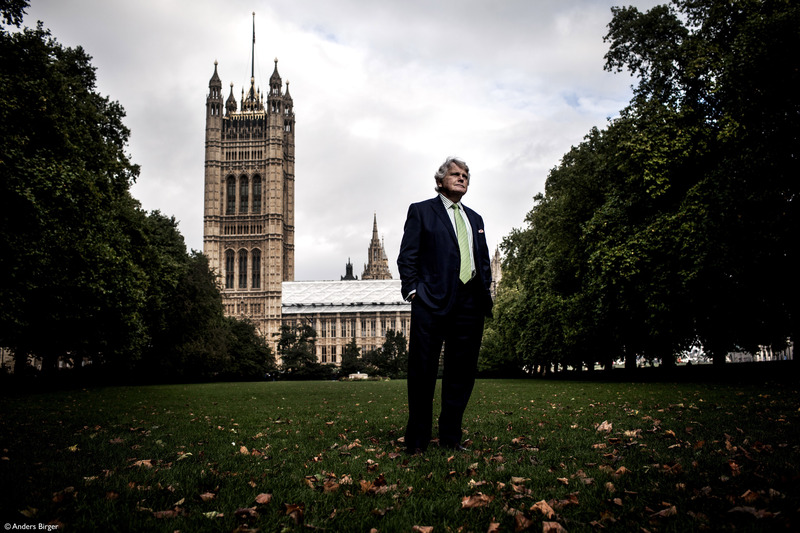 In his restless search for a proper job, he’s also been Deputy Chairman of Saatchi & Saatchi, a TV presenter and newspaper columnist, and widely acclaimed speaker. Boris Johnson M.P. Former Mayor of London. Michael Presenting from the Cabinet War Rooms. Well, they might say that. 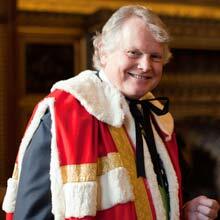 Michael Dobbs couldn’t possibly comment. "Perhaps the cleverest man in the country." Otherwise known as Lord Dobbs of Wylye in the county of Wiltshire. Specialist on China, global politics and political leadership with a doctorate in nuclear defence studies. Was Chief of Staff and later Deputy Chairman of the Conservative Party. 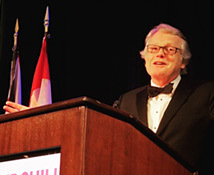 Lifetime Achievement Award for Political Literature 2014; P T Barnum Award for Excellence in Entertainment 2014; Tufts University Alumni Lifetime Achievement Award 2014, Huw Wheldon Memorial Lecturer 2015, International Churchill Society’s Blenheim Prize 2017. Winner of Benjamin Franklin Award for best historical novel 2008; shortlisted for C4 Political Novel of the Year 2001, PaddyPower Political Novel of the Year 2013, 2014. Was the first person to tell Margaret Thatcher she had become Prime Minister. He’s descended from seven generations of brewers and a Victorian convict, ran messages across the Berlin Wall as a teenager, and is 6 foot 3 tall. 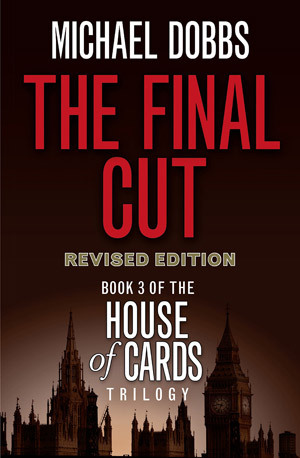 House of Cards was written thirty years ago but is still considered to be the definitive political thriller. 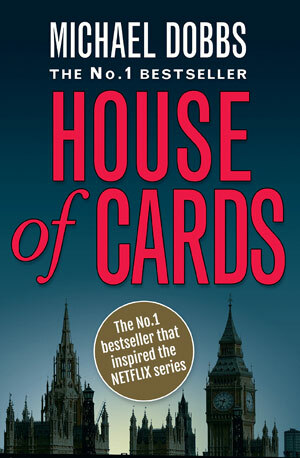 Based around the life and inexhaustible lusts of machiavellian politician Francis Urquhart, the novel was adapted into the hugely acclaimed BBC television series and spawned FU’s famous quote that has been used by countless politicians “…you might think that, I couldn’t possibly comment”. And now the devastating U.S. television adaptation on Netflix has won Emmys and Golden Globes – and millions of followers worldwide. All series available worldwide now. "I started writing the book beside a swimming pool. I had no idea it was about to change my life so completely. Thirty years later it's still doing that, changing my life." The idea for a novel based around the dark political arts came to me shortly after the 1987 general election campaign, which had been particularly bruising. 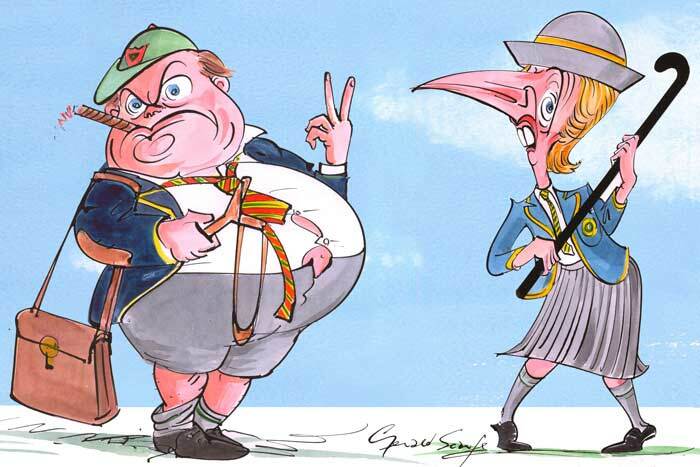 Margaret Thatcher won that election but made many enemies while doing so – too many, I thought. It inspired me to begin work on a plot – entirely fictional, of course – to get rid of a Prime Minister. The book was dramatised by the BBC, and in the very week it was first broadcast Margaret was forced out of Downing Street. It seemed almost impossible, but she was gone. Fact had overtaken Fiction. 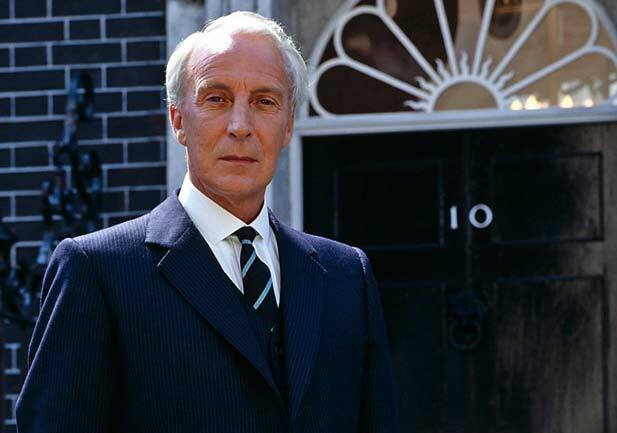 Ian Richardson as Francis Urquhart in BBC's 'House of Cards' 1990. "When John Major became Prime Minister. He said House of Cards had done for his job 'what Dracula has done for baby-sitting'. I took it as a compliment." 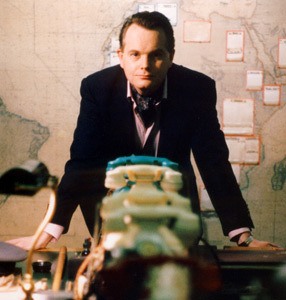 The BBC’s television adaptation has been one of the best-selling television series ever made by the BBC. And now the US adaptation is a global success. The US version is different, of course – but not that different. The original was about a wily, murderous politician worming his way to becoming Prime Minister. This is about a wily, murderous politician worming his way to the White House. It ain’t your daddy’s West Wing! 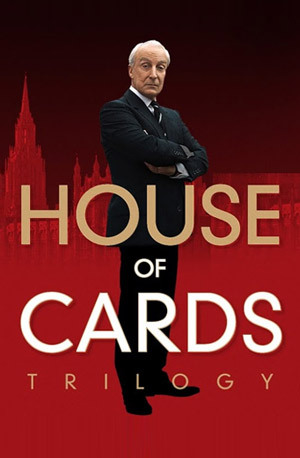 There are three novels in the 'House of Cards' series and two television productions. Click the covers below to purchase from the store. Winner of 22 international awards including; Golden Globe®, Primetime Emmy, Screen Actors Guild, Writers Guild of America. My first real recollection of Winston Churchill was watching his funeral with my mother on an ancient black and white television. She was in tears, and I had no idea why the death of a man she had never met should affect her so deeply. I decided I would find out. It set me on a voyage of discovery that continues to this day. As a novelist I want to know the man, the flesh and blood fellow, not the statue set up high on a plinth. What made him so different? What brought him to rage? What made him cry…? I discovered a man of greatness, but also a man of faults, many insecurities and much private pain. The reason he achieved greatness, in my view, wasn't because he was perfect but because he had so many private battles to fight before he ever got round to doing all the blood-sweat-and-tears stuff we remember him for. I've written novels about him, a play, made a radio documentary for the BBC and a TV documentary for SKY. Winston has become part of my life, just as he was for my mother. Click here to listen to Michael discussing 'Never Surrender' with Iain Dale. 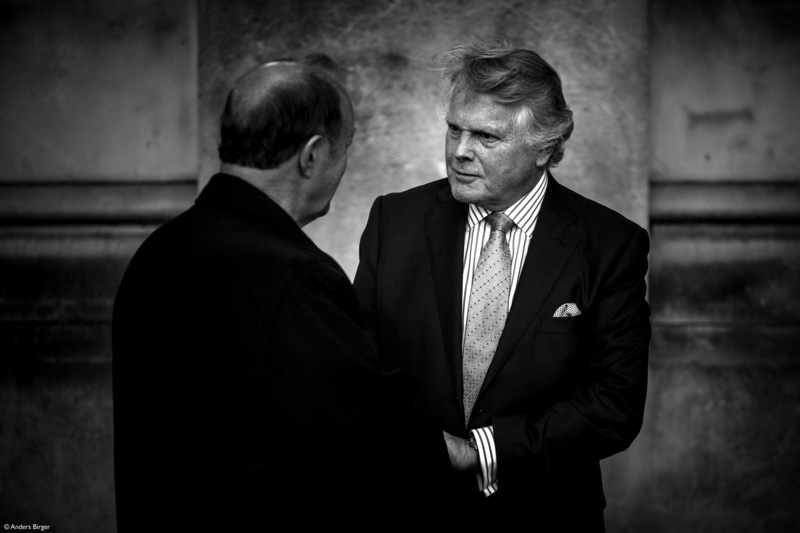 Click here to hear Michael discussing 'Churchill's Triumph' with Alex Dickson. Click here to listen to 'Classroom's to Power' – Churchill, Michael's Radio 4 series examining the schooldays of leading prime ministers. Published in the U.S. by Sourcebooks. – U.S. Readers please click here. 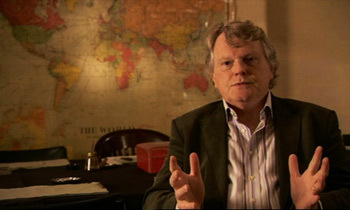 Michael talks about his Churchill novels and writing 'The Turning Point' play – SkyArts – Click to view. The Book Show – Sky – Michael visits Chartwell and talks about Churchill's writings. "Dobbs is following in a respectable tradition. Shakespeare, Walter Scott, even Tolstoy, all used historical events as the framework for their writings. 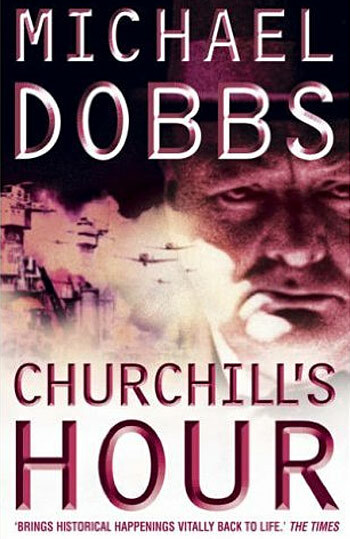 And, unlike some of their distinguished works, Dobbs's novel is, in fact, astonishingly historically accurate." Click on covers below for more information. A stunning epic about treachery in the highest places. Winston's War is a masterly blending of imagination and compelling fact that places the reader at the right hand of the most momentous events in our history. Saturday 1 October, 1938. Two men meet. One is elderly, the other in his twenties. One will become the most revered man of his time, and the other known as the greatest of traitors. Shortlisted for Channel 4's Political Book of the Year award. Winston Churchill met Guy Burgess at a moment when the world was about to explode. 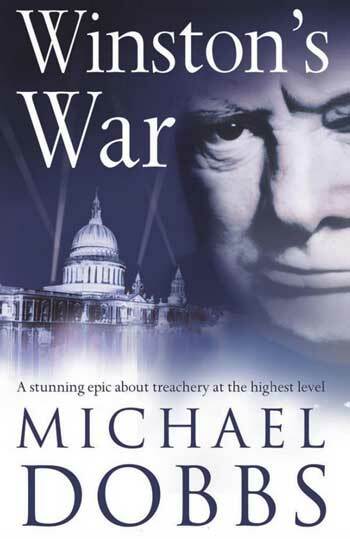 Now Michael Dobbs throws brilliant fresh light upon Churchill's relationship with the Soviet spy and the twenty months of conspiracy, chance and outright treachery that were to propel Churchill from outcast to messiah. "An intriguing tale of espionage and treason that charts the increasingly tangled lives of a unique cast. This is a work to enthral." 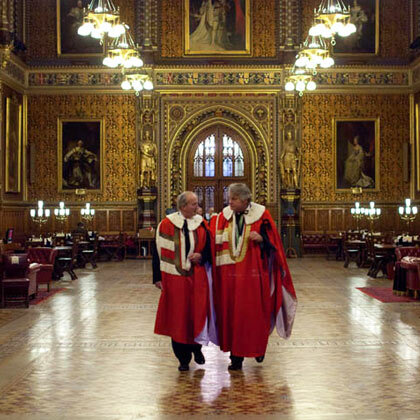 "The most compelling account of that great parliamentary occasion that I have ever read. And it is made all the more impressive by being, so far as I could see, historically accurate in every respect." "One of the best pieces of 'faction' you're likely to read." 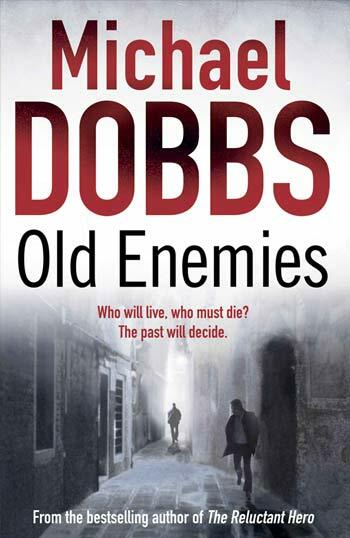 Norman Tebbit, "My Six Best Books"
"Dobbs is a writer who is so subtle, inventive and imaginative that at times you have to remind yourself that you know what happens in the end." The story of one man's defiance and a nation's courage. Friday 10 May, 1940. Hitler launches his devastating attack that in days will overrun France, Holland and Belgium, and bring Britain to its knees at Dunkirk. It is also the day Winston Churchill becomes Prime Minister. 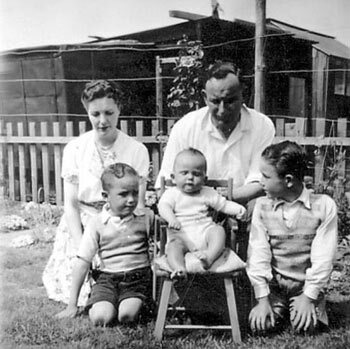 He is the one man capable of standing in Hitler's way – yet Churchill is still deeply mistrusted within his own Cabinet and haunted by the memory of his tortured father. "Dobbs masterfully dissects three weeks of the Second World War. A historical hit." 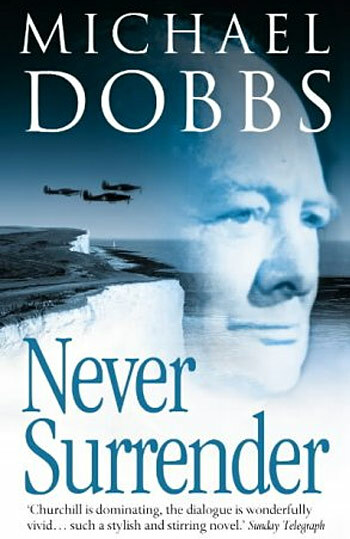 Never Surrender is a novel about the courage and defiance that were displayed in abundance – not just by Churchill, but by ordinary men and women during three of the most momentous weeks in British history. "Churchill is dominating, the dialogue is wonderfully vivid… such a stylish and stirring novel." "This is a magnificent novel. It will hold the reader's fascination from beginning to end." The extraordinary story of a leader's courage and a country's survival. Franklin D. Roosevelt and Winston Churchill were to become great allies, but they started far apart. That was, until 7th December, 1941. Pearl Harbour. A day of infamy. A day that changed the world. A day when America was dragged into the war, and Winston Churchill rejoiced. "CHURCHILL AS NATURE INTENDED: Dobbs captures his famous subject with artistry. With every stroke of his brush, he etches the character deeper into the memory. It is beautifully done." Yet in saving his country, he risked watching his own family be destroyed by the tempestuous affair that erupted between his daughter-in-law Pamela and America's most powerful envoy, Averell Harriman. Throughout history great moments of love and war have often been mixed together, and so they were in 1941. Churchill's Hour is a story about great passions and great decisions, and still greater deceptions. "As an insightful, thought-provoking portrait of one man's personal courage and unshakeable conviction, it succeeds magnificently." 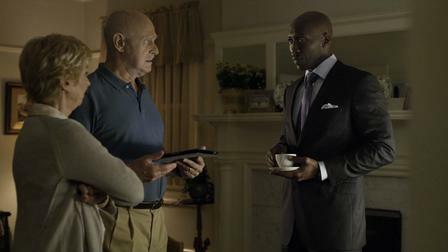 "Intriguing political drama from a master of the genre." "By any standards, this is a remarkable book in an outstanding series which makes history interesting and exciting. Anyone who wants to know about Churchill should read this." "Riveting and controversial… Dobbs has the gift of taking us inside the subjects's head." "This is a typically masterful page-turner." 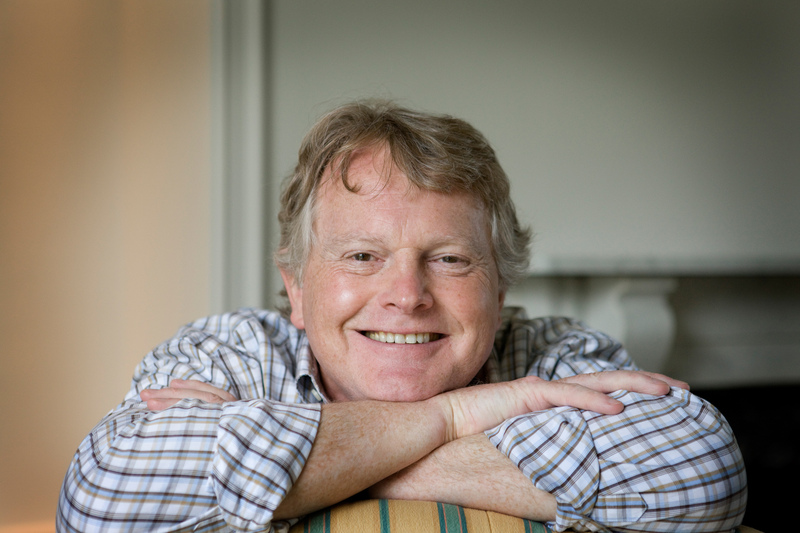 "BOOK OF THE MONTH – A story of dilemmas, deceptions and courage, Michael Dobbs weaves history and imagination into a gripping read." 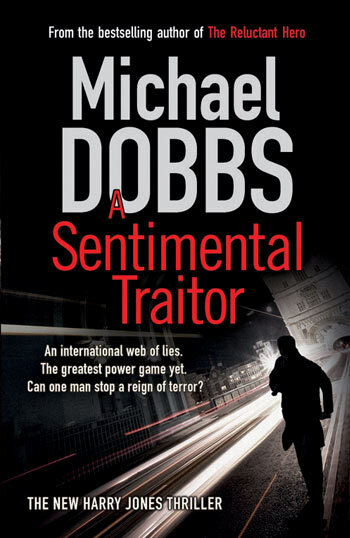 "This is a story of decetion, trickery, subterfuge, propaganda and raw tension… Dobbs lifts the lid on the greatest Briton, exposing his strengths, weaknesses, foibles – right down to his table manners – in a way that makes the read utterly compelling… By any standards this is a remarkable book in an oustanding series." "We can do what no men have ever done – build a world freed from the tyranny of all war." YALTA, 4 February 1945: The moment in which our modern world is shaped. The Second World War is coming to an end and the three most powerful men on earth meet to thrash out the details of peace. There is the cantankerous Winston Churchill, the idealistic but ailing Franklin Roosevelt, and the butcher Joseph Stalin, snake-like in his cunning. They are supposedly allies, but over eight days these men will lie, cheat and deceive each other as they struggle to establish an agreement and secure their places in history. Meanwhile, as the smoke continues to rise above Europe, a Polish soldier tries to find his daughter in ruins of Warsaw. He is a man who has already been betrayed by Hitler and Stalin, and now his fate lies in the ageing hands of Winston Churchill. The two men become involved in an extraordinary battle for survival, as the destiny of a small girl and half the world lies in the balance. "Brings the quartet to a resounding close. Dobbs conjures up Roosevelt's stricken response beautifully. He is a fine writer… and captures the spirit of the thing." 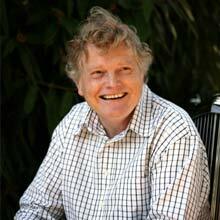 Michael Dobbs has written a riveting historical novel that brings the passions of the period dramatically alive. It vividly rekindles not only the perils that lie in store for those who wield power, but also the heroism and suffering of ordinary people caught up in extraordinary events. "This novel is a triumph." "Dobbs writes with passion. Furiously told and compelling… Churchill's Triumph is a thinking man's bestseller." 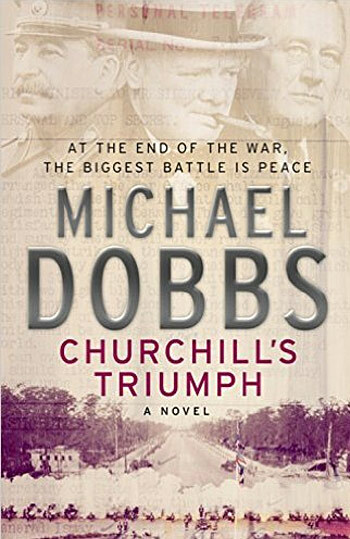 "His portrait of Churchill is as masterly as ever… and in the tragedy of Poland burning while statesmen fiddled, Dobbs has found a theme worthy of his powers." "Brilliant… full of magnificently dark political characters." "Intrigue, political scandal and government treachery… Dobbs demostrates why he is the master." "Absorbing… The book vividly brings to life one of the pivotal events of the twentieth century. Impeccably researched." "A gripping read, a compelling story, expertly told." "I've rarely ever felt so involved or so moved by a historical novel." 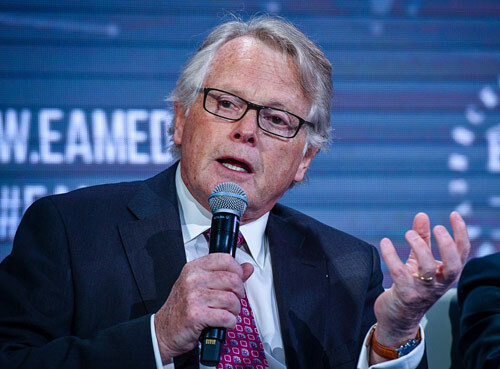 Professor John Ramsden, author of "Man of the Century." 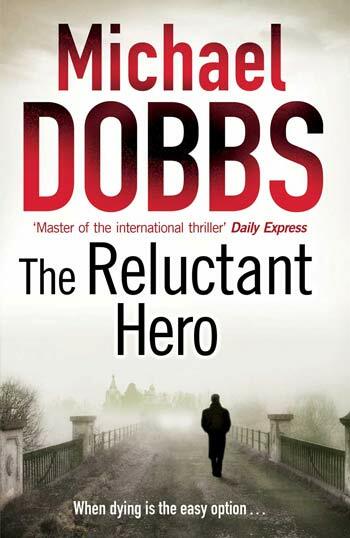 "Dobbs clearly has an instinctive feel for what makes powerful men tick." "A moving story of human tragedy you won't want to put down." "The drama and despair of this momentous meeting are captured perfectly and Dobbs shows a rare talent for reading between the lines of official history." "Brings the passion of war to life." "Dobbs presents the historical facts with such skill and pace, it becomes a rattling good yarn… Another winner." "The real Churchill brought to life." Harry isn't your usual adventurer. For a start he's a millionaire, a Member of Parliament – and heroism isn't the standard stuff of modern politics. But he's a man with a dark and bloody past from his days spent fighting dirty wars in the British Army. Wealth, influence and blood on his hands. Not a bad basis for excitement. In two days the world will be destroyed. Can anyone stop the bloodshed? It begins with the small things. Power failures. Blackouts. Transport breakdowns. A plane that falls out of the sky. Those are just warnings. A test for what is to come. The real cyber war hasn't started yet. When it does, nothing can stop the madness. Millions will die as governents fall and systems collapse into chaos. 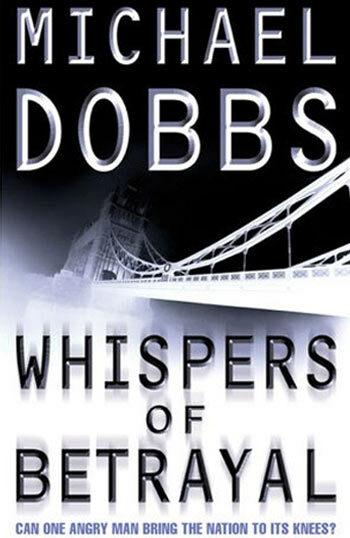 "Dobbs was clearly put on this earth to write thrillers of the most shamelessly page-turning quality." Not even two presidents and a prime minister can stop this. They won't all survive the day. Harry Jones believes the answer lies in an old Scottish tower, but already it's collapsing in flames around him. "It kept me up all night. I couldn't put it down." BBC Radio 2, Steve Wright in the Afternoon. "Your publisher very kindly sent me a copy of your new novel but there was no need as I have bought and read with enormous pleasure all MD books over the years." "The best kind of British thriller." "Explosive in every sense. His novels are famously predictive." "Fascinating and pretty frightening stuff." "A thriller that is both nightmare vision and timely warning." "The plot is riveting…. A first-rate tale – Dobbs' thrill chamber!" An international web of lies. The greatest power game yet. Can one man stop a reign of terror? A missile tears a passenger plane from the skies over London. Everyone on board is killed, including thirty-seven exceptional children. As terror turns to international chaos, can the government survive? Who would have killed them? And why? When Harry Jones starts searching for answers, he stumbles into the middle of a plot that stretches from Russia to the Islamic revolution in Egypt, from the shores of the Caspian Sea to an ancient church in rural Wiltshire. "Read it if you dare, but you may not want to go out onto the streets, or up in a plane ever again." Every lead Harry pursues finds its way back to the secret corners of Brussels and a British woman named Patricia Vaine. She and Harry are doomed to fight their battle to the death. Their own lives, and the future of an entire continent, are at stake in what develops into the greatest political power game since the end of the Second World War. For this is a plot not just to take over one country but the whole of Europe. "A cracking opening… Absorbing and packed with insider detail." "The opening is explosive – and things only get hairier… This book has more twists and turns than a slalom skier solving a Rubik's Cube. The action skims unstoppably, it's hard to put down… A scriptwriter should be busy at work turning A Sentimental Traitor into a movie." "A Sentimental Traitor works! Most of us can imagine our lives ruined by some EU agency. When the pubic demands such novels, it's over for Bussels… Speaking of which, buy the book. You'll enjoy it." "I never read novels. I just don't have the time. That said, I read A Sentimental Traitor in two sittings. Harry Jones is just great. Would it be possible to have lunch with him?" "Be prepared to find yourself turning these pages into the small hours, rather than turning out lights and going to sleep. It keeps you in suspense until the final twist… I thoroughly enjoyed this one." "Spine-chillngly accurate about the ambitions of the EU bureaucracy. Exciting, evocative and contemporaneous." Nirj Deva MEP, Vice President Development Committee, European Parliament. Five short, razor-edged words that rip the world of Harry Jones to pieces. He barely knew his father Johnnie and hated what little he did know, yet no man is able to escape the shadows of the past. 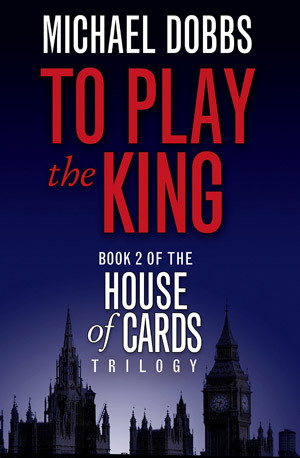 Harry has already lost almost everything – his seat in parliament, his reputation, his fortune. There is little left apart from his love for the headstrong Jemma, and now he must risk losing her and even his own life to uncover the truth about his dead father. "Page turning, devilishly clever, the best Harry Jones yet." The State Opening of Parliament. The most magnificent royal occasion of the year. The Queen, her Cabinet and all the most powerful people in the land are gathering in one room, the historic House of Lords. Then terrorists strike, holding every one of them hostage. Not all of them will survive. It is Britain's day of torment, with every moment unfolding on live television. The world holds its breath as it waits to see who will be the next to die. "Think Die Hard with a stiff upper lip, then pray that Lords' Day remains a flight of fictional fancy." Harry Jones is already having the worst day of his life when he gets swept up in this madness. He has no weapons, then the terrorists take the clothes off his back. But Harry Jones is not like others. He is a man who hates being pushed around. And he has only hours to save his Queen. 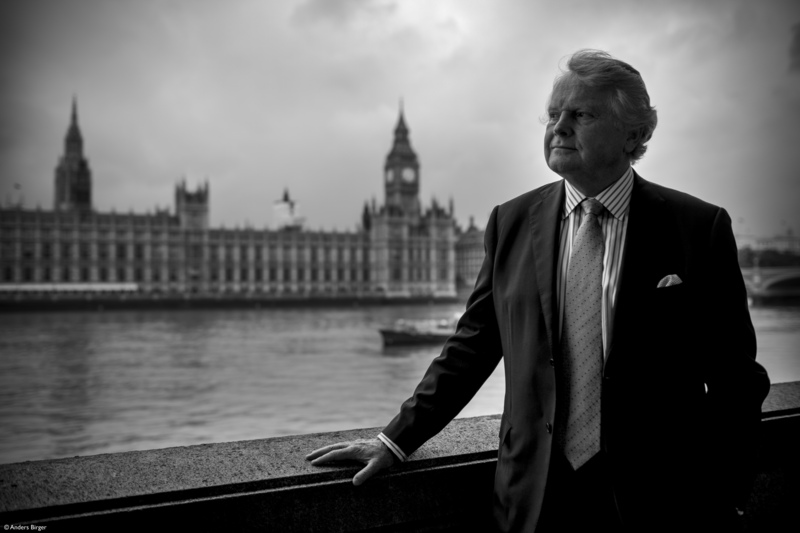 "Why did Michael Dobbs waste his time being deputy chairman of the Conservative Party and deputy chairman of Saatchi & Saatchi? Or spend valuable years as a journalist and TV presenter? 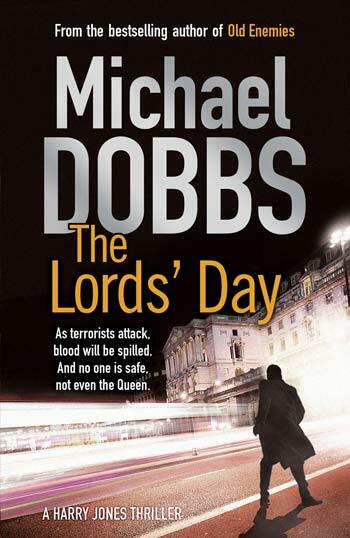 He was clearly put on this earth to write thrillers of the most shamelessly page-turning quality – such as The Lords' Day. 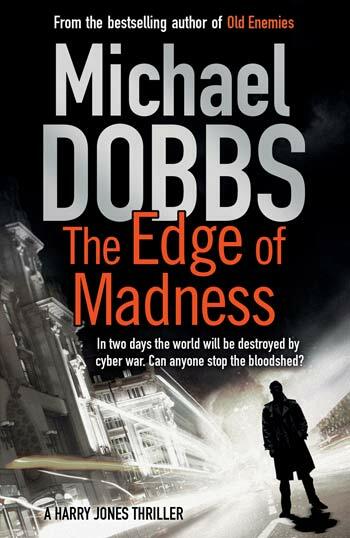 He screws the accelerating tension so tight that most readers will be consuming this in just two or three sittings… and all handled with the panache we expect from Dobbs." "A brilliant drama… His reputation as Britain's foremost exponent of the pacy, shock-inducing thriller is more than maintained by his latest and frankly startling offering. Not a foot put wrong, not a hair out of place. One of the most daring scenarios ever attempted in a work of fiction. A brilliant drama, full of shocks and surprises." "A gripping tale which leaves behind deeply uncomfortable thoughts, not only about the vulnerability of our institutions but also about guilt, responsibility and revenge." 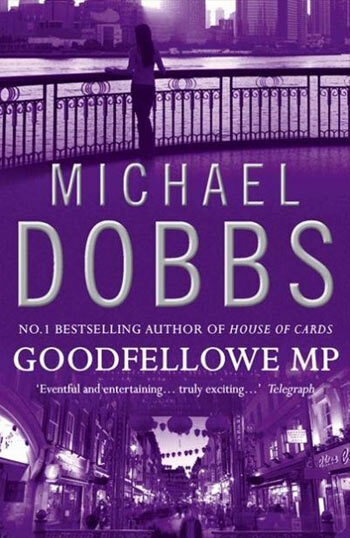 "The plot is riveting… The scenes in the Cabinet Office during the emergency discussions are gripping… A first rate tale – Dobbs's thrill chamber!" "Dobbs is very good at creating political settings with just the right veneer of knowing authenticity… Effective and entertaining." "Oh lordy, what a page turner!" 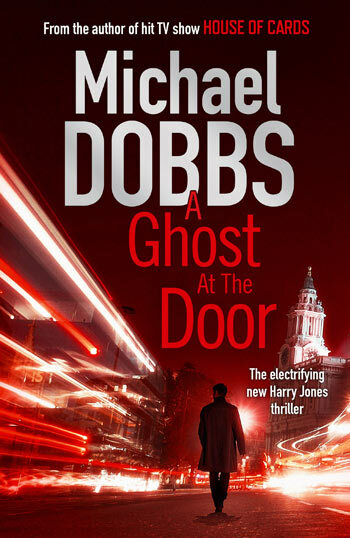 "The result, as you would expect from Dobbs, is a brilliant drama, full of shocks and surprises that will keep the reader bolt upright from page one to the end." 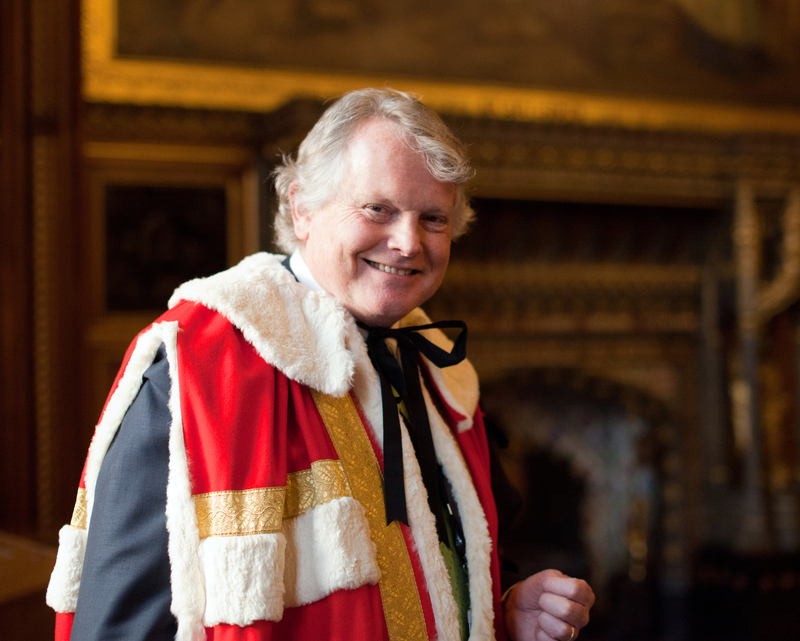 "Anyone who knows anything about the intricacies of parliamentary life would have to admit that this book is impeccably researched…. brilliant." "Dobbs is terrifically good. You will probably learn more about the impossibly complex politics of Afghanistan and the war on terror reading this novel than from pouring through any number of Government dodgy dossiers." "A taut and enjoyable thriller of our times." "Excellent – so engaging I couldn't put it down." "Harry Jones returns to defend Britain's honour in this rip-roaring thriller." Somewhere in a Central Asian republic, in an underground prison cell, an innocent man is facing imminent death. Harry Jones – former soldier, maverick, politician – owes this man a debt of honour. Planning an audacious rescue mission, Harry is unaware of the depths of corruption and conspiracy his clandestine intervention will uncover, nor of the danger he will unleash, both for himself and for others. "A master of the international thriller – a real vote-winner. 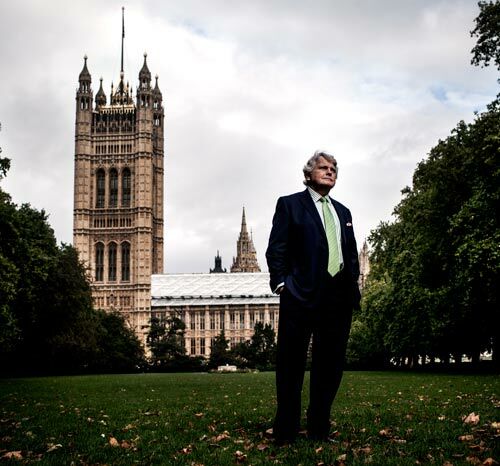 If you haven't picked up a Michael Dobbs novel in a while you should." "Dobbs is a wonderfully fluent storyteller." "The best kind of British thriller, with a scenario which is all the more frightening because of its plausibility." 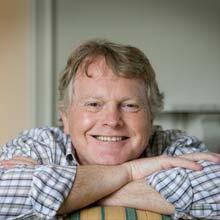 "Michael Dobbs is in fine form with this fast-paced page-turner. This is a book to be devoured." Who will live, who must die? The past will decide. A global conspiracy begins in the Swiss Alps, when a teenage girl is thrown from a helicopter and her boyfriend, Ruari, is brutally abducted. Yet this is no ordinary kidnap; it is about power, not money. Ruari's father is a newspaper owner in possession of knowledge that can make or break leaders around the globe. When Ruari disappears, his father is left powerless while his mother turns to Harry Jones, the lover she walked out on many years ago. Those years have been filled with controversy for Harry, politician and former soldier. He's gathered powerful admirers but also bitter adversaries, who will neither forgive nor forget. Much more than one life is at stake as the past comes back to decide who will live, and how many will not. "'The best kind of British thriller"
Throughout time the men and women at the centre of power have been a constant source of surprise, displaying not only courage and foresight, but often extraordinary vulnerability and blindness, too. What more could you want as the building blocks of great drama? And I've been fortunate enough to have had a ringside seat. I started writing my first novel 25 years ago. 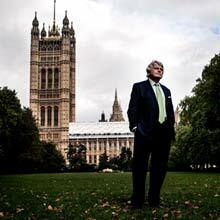 A few years before that I'd walked into Downing Street with Margaret Thatcher – and I was soon to be booted out with John Major. Now I work for David Cameron. A busy life. Someone once said that all political careers end in failure. I think that's a little harsh. Political careers usually start out in a fanfare of idealism, yet it's not long before they find themselves wandering across the soggy ground that lies somewhere between blind ambition and impossible events. Some politicians succeed, they end up in Downing Street; others don't and end up in jail. Whatever the outcome, it provides endless material for drama. Enjoy. "Goodfellowe is the most affectionately drawn crumpled anti-hero since Jim Hacker." 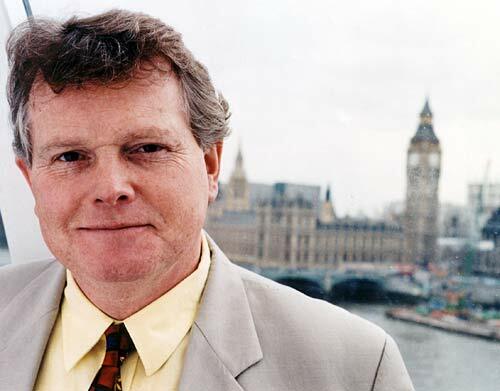 Thomas Goodfellowe MP. A man who has discovered the extraordinary powers of a backbencher to ask questions of anyone about anything - and the freedom to make an almighty public fuss. "Goodfellowe is a modern hero with all the welcome weaknesses we expect… The fun (and there's plenty of it) comes from watching honest Tom struggling with his own frailties and battling against the massed ranks of base politicians." 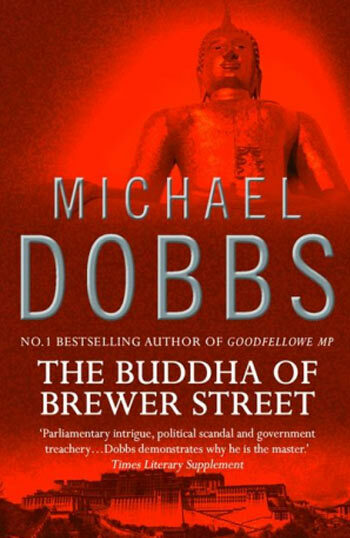 "Parliamentary intrigue, political scandal and government treachery… Dobbs demonstrates why he is the master." "This is a rattling good yarn to keep you warm on long winter nights… Here is good old-fashioned entertainment in the great British tradition of Rider Haggard done with wit, skill, pace and panache." 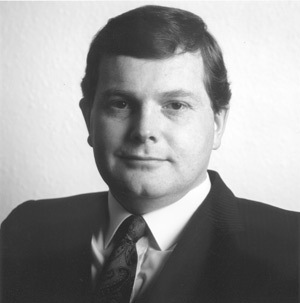 Tom Goodfellowe M.P. is caught up in the search for the new Dalai Lama. Tom Goodfellowe is the unlikeliest of political heroes. An MP whose career has already been consigned to the scrapheap of history, with a private life that staggers between confusion and chaos… And it's all about to get worse. A new Dalai Lama is born. The infant god-king of Tibet. And around the child explodes an international conspiracy that will carve a trail of death from the slopes of Mount Everest right to the heart of London's Chinatown. Goodfellowe becomes drawn into a murderous race against time and against sinister sources within his own government. On the outcome will hang the fate of one of the world's great religions – and Goodfellowe's turbulent personal life. Because someone, someone very close, is betraying him at every turn. Can one angry man bring the nation to its knees? 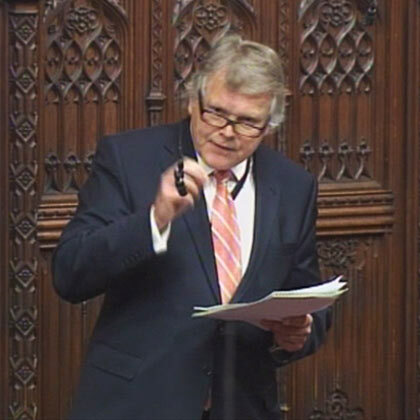 Tom Goodfellowe M.P. is caught up in a national crisis as the capital is held to ransom by one angry man. Colonel Peter Amadeus is an old soldier with a grievance. He wants an apology from the Prime Minister. But this Prime Minister does not believe in apologizing for anything. For Amadeus it becomes a matter of honour – and retribution. Soon London is a city under siege, its lifelines cut. Then comes his ultimatum: the Prime Minister must resign – or London will be destroyed. Only one man stands between the capital and disaster – Tom Goodfellowe, a backbench MP who can't even sort out his own life, let alone save the lives of others. He is a man torn between ambition, honour and love – with the fate of London slipping swiftly through his fingers. A novel of power, seduction and a woman's revenge. Ginny is the young wife of an Opposition MP, Dominic Edge, and is entirely content with her life in the constituency home. So when she overhears gossip of her husband's affair, it is a shattering blow. For some women such things seem part of the Westminster game, but Ginny is no ordinary woman. She decides that there is only one way to stop being a perpetual victim of the system, and that is to become its master. Ginny will not be satisfied until she is the wife of the Prime Minister. "Barbed and breakneck, often very funny and hugely entertaining." 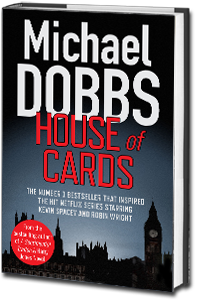 As Michael Dobbs achieved so brilliantly with his House of Cards series, so with First Lady he ruthlessly dissects the greed, corruption and lust for advancement of the players in 21st century Westminster. It is a novel as witty as it is moving, as compelling an entertainment as it is an intimate insight into the darker corners of the human soul. "Highly polished and divertingly sophisticated. A great romp, a crash course in treachery, a guidebook in Machiavellian deviousness." "An absolute tour-de-force, a ripping read, a great, great book. Ginny Edge is truly amazing." "High-class, with some caustic observations on the private pursuit of public power. Compulsively readable, like a guilty secret." "Razor-sharp and entertainingly witty, this is an addictive must-read." 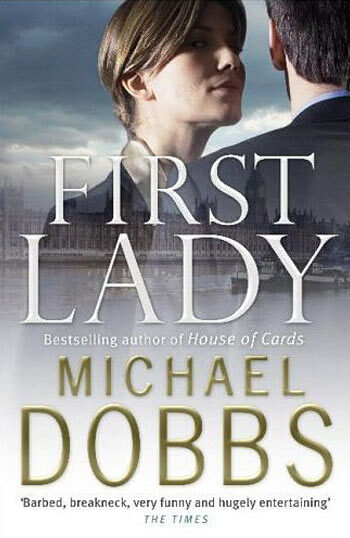 "If you're after a rollicking good read, then Michael Dobbs' First Lady is the book for you." "Entertainingly witty, cunningly well observed, absolutely un-put-downable." "Races along like a flash flood. A brilliant insider's view of politics." 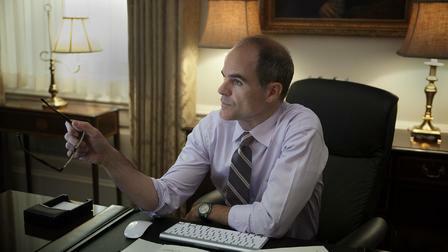 "First Lady is a devastating portrait of the politician's wife." "Fascinating… A frank, sometimes funny political romp." 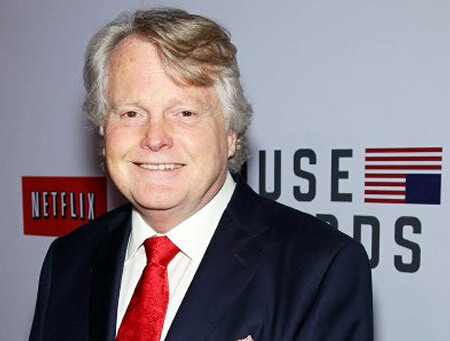 "LIFE IMITATES ART: Michael Dobbs must be rubbing his hands – or his crystal ball – with glee." 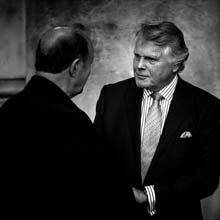 Michael became Lord Dobbs in December 2010 after a long career in and around politics. “It all began in a pub where I met a complete stranger. I happened to mention to him that I was looking for a job in current affairs. He bought me a drink. Four years later in 1979, on a historic election night, Michael was the first person to be able to tell she had become Prime Minister. He was with her the following day, too, when she took her first step across the threshold of 10 Downing Street. Eighteen years later, he was with John Major when he got kicked out. In between times, he helped win elections, was bombed in Brighton, and was banned from Chequers after a row with Maggie. He earned himself nickname of ‘Westminster’s baby-faced hit man’. Perhaps that was why David Cameron made him a life peer in 2010. Click here to view Michael's UK Parliament archive of contributions. 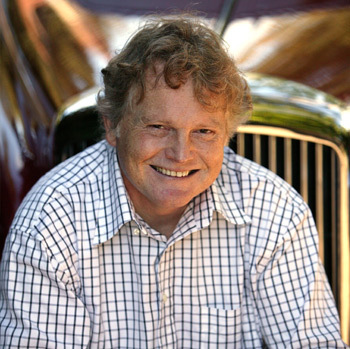 Michael is a most accomplished and entertaining speaker, he's seen it all and he'll share it in highly engaging style. To contact Michael or book him to speak at your corporate event or dinner please complete the form below. Please click below to download high resolution images for print and publicity.